Eastside Primetimers has been an approved Impact Management Provider for the Access Impact Management Programme. This role built on our track record of delivering some 40 impact projects in 2016-2017, with clients ranging from specialist local charities and foundations to regional and national charities. 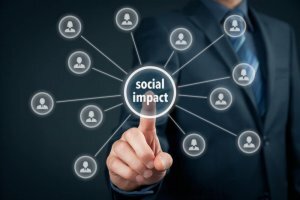 We worked to support social ventures seeking funding from the Impact Management Programme Growth strand to improve their impact management systems and processes. Finding the right technology solution can often be an important part of effective impact management. With this in mind, Eastside Primetimers partnered with Economic Change CIC, specialists in using Salesforce for impact measurement and management. We know that some ventures already use systems such as Salesforce as part of their customer relationship management, but without optimising its capabilities for impact management purposes. By partnering, we can offer a joint impact and system proposition. As of March 2018, Access Impact has awarded grants to 26 organisations under the Impact for Growth strand. These grants will support charities and social enterprises that are seeking to raise investments or contracts to improve their ability to quantify, report on, increase and ‘get paid for’ their impact. As a provider on the programme, we at Eastside Primetimers are pleased to have supported five grantees: Chiltern Rangers, Mencap Liverpool, Relate, Reach Learning Disability and Project 6. Chiltern Rangers, a Community Interest Company, specialise in engaging local people young and old in conservation volunteering with benefits for the environment, the people taking part and the wider community. Eastside Primetimers consultants worked with them to strengthen how they capture and use data on the difference they make, whether that’s for children taking part in Forest Ranger Schools, occasional and regular conservation volunteers, marketing and social media volunteers, or the wider community who enjoy the enhanced green spaces. With our partner Economic Change, we also introduced ways of capturing data quickly and efficiently while out and about. Mencap Liverpool is an independent learning disability charity operating in Liverpool, affiliated with the national Mencap charity but separately funded and locally governed. Their mission is to ensure that people with a learning disability are valued equally, listened to and included in all elements of life. Eastside Primetimers consultants had already been working with them under the Local Sustainability Fund on utilising their impact reporting system. The additional funding from Access Impact will enhance these efforts, helping them to focus on their target population and to systematically analyse the data they are collecting and learn from this analysis. Relate, the UK’s largest provider of relationship support who help over a million people each year of all ages, backgrounds and sexual orientations to strengthen their relationships. 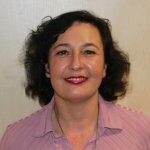 In their 80th anniversary year of 2018, they were reflecting on the huge difference they have made to hundreds of thousands of people’s lives, but an increasing number of people need help – a staggering 2.87 million people across the UK are living in relationships which would be described within clinical practice as ‘distressed’. The funding will support them to take their impact management processes, systems and culture to the next level. This should help them understand and increase their impact and better meet the needs of investors or commissioners. Reach Learning Disability, a Nottinghamshire-based charity supporting 200 people with learning disabilities each week on a regular basis and a further 200 annually through short outreach courses. They support their clients to learn new skills, feel more confident, and make new social connections. Through this project, they hope to respond to changes in funding, assessments and demographic changes; develop a consistent overall management framework to enable them to report their impact at an organisational level and learn from current practices; embed the data they generate in a way that better drives their performance; and produce their first annual Impact Report to provide a wider view of what we achieve as an organisation for service users. As of January 29th 2018 applications for the Impact for Growth strand of Access Impact are closed.